1. Transport just isn’t an issue for us Manchester bods. If you’re based in the city you can pretty much reach everywhere on foot and you’ll be comforted by the same faces on your walk to work every day – hi-vis Craig and edgy skateboard boy, I’m looking at you. 2. When the sun’s out, we’re all out. Manchester sunshine is rare at best, so when we do get a glimpse of it, the entire population of the city will pour into the nearest bar to soak up that glorious northern sunshine and will refuse to move until the very last ray disappears. 3. We also have a very pragmatic approach to rain. We tend to categorise it into three levels – bad, worse and terrible – and will have a specific coat and pair of shoes to match each variation of showers #organised. 4. FOOD. As a very foodie office, we’ve made it our lives’ missions to try as many under-the-radar restaurants and cafes in the city as possible. Office favourites include Fig & Sparrow, Federal Cafe and El Rincón de Rafa – and there are always more popping up to keep the city on its toes. 5. Also, BARS. Living in the city means you start to become slightly pretentious about your favourite bars, and for good reason. 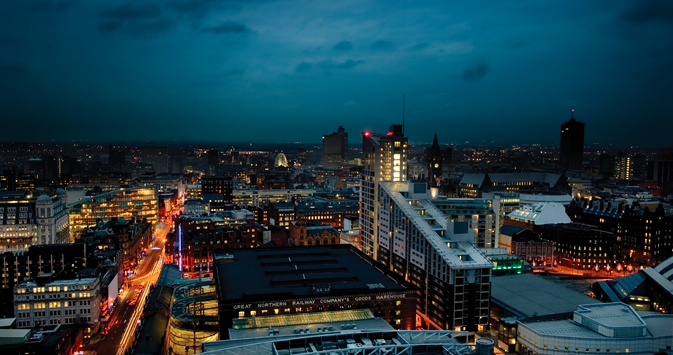 Manchester has a plethora of independent bars that make the bigger chains pale in comparison – some firm favourites amongst the Avant PR team are Guilty by Association, Terrace and Hula, if you’re looking for the kind of night that you may not remember in the morning (enough said there). 6. While I’m not personally the biggest football fan, we do have some serious City and United supporters within the team (surprisingly, office brawls are kept to a bare minimum) and even the least interested amongst us can feel the buzz in the city when a big match is on. 7. It’s really, really pretty. While people often forget the beauty of Manchester, buildings such as Manchester Cathedral, the Town Hall and John Ryland’s Library can be found in amongst some of the more modern architecture, which gives the city its unique character. 8. London is only a train ride away. Working in Manchester means that you don’t have to battle the tube on your commute and after work drinks are a pleasure rather than a grapple to find the nearest spot at the bar, but if commitments bring you down to London a lot (as they do for us), you can be there and back in a day, with a new appreciation for that fresh northern air when you return. 9. Uber drivers actually want to speak to you. While you can walk pretty much anywhere in the city on foot, as a fashion team our shoes aren’t always the most sensible to permit this, so it’s nice to hop into an Uber and not have a awkward dead air sitting between you and your driver. 10. Manchester just feels like home. Having lived in the city with various flatmates from all over the country, they all say that they have a special place in their heart for the warmth of Manchester and the crazy but amazing people it plays home to.